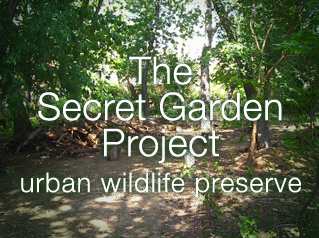 Tucked in the middle of a residential block in Bushwick, Brooklyn, the Secret Garden Project is a community run garden which is almost hidden from view from the street. The site boasts an expansive edible garden as well as a "wild" area dedicated to true native plants. They also host Earth Matter's own Bushwick compost station. Opened in November of 2009, this site accepts food waste Wednesdays, from 11:00 AM - 3:00 PM and on Saturdays, from 1:00 PM - 3:00 PM yearlong for a suggested donation of $1 or more. Dan Aug 2012 "Good compost workshops"